SAN FRANCISCO (KGO) -- Republican presidential candidate Carly Fiorina won't be appearing in the Bay Area tonight after all. A fundraiser scheduled in Piedmont has been canceled, with no reason given. Fiorina's campaign is boasting a spike in fundraising following her performance in last Thursday's debate for second-tier Republican candidates. Fiorina hoped to seize on that momentum by attacking frontrunner Donald Trump, and the blood comments he made toward Fox News anchor Megyn Kelly. "The point is, women understood that comment. 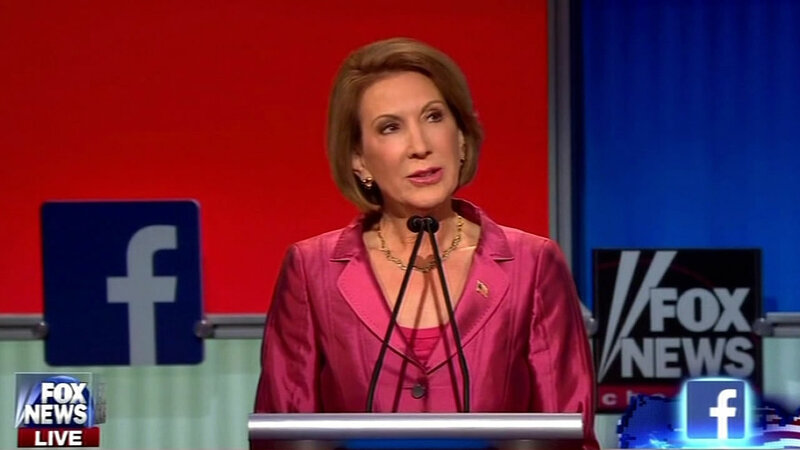 And yes, it is offensive," Fiorina said. Trump fired back at Fiorina on Monday by tweeting that she has zero chance of winning the Republican nomination and that listening to her for more than 10 minutes gives him a massive headache.